We are rolling out another 20 version with some new critical bug fixes. This build fixes an auto update problem on Mac where the auto update process prompts for user credentials and then exits immediately if run as an unprivileged user. We have also fixed a problem with Off-Road mode not working on some ISPs. 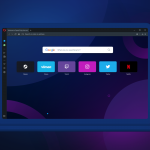 Get the new build here: Opera Stable stream.